"I thought that you might be interested in this cutting from the 'Football Echo' of 1931. 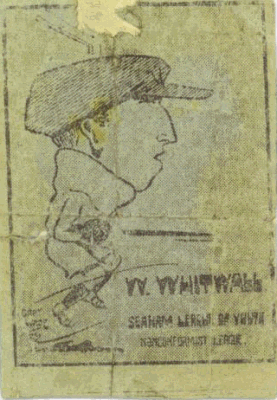 The picture is of my late Uncle Bill Whitwell when he played in goal for the Seaham League of Youth in the Nonconformist League. He would tell me how often, after a hard shift down pit, the team would turn out and play ninety minutes and enjoy every minute of the game. This contrasts greatly with the modern day professionals who seem to need a week off after every game. I guess many people from Seaham will still remember Bill who became my guardian when I was only two years old."